A sneaky fish learns a lesson in crime and punishment in the bestselling, multiple award-winning sequel to I Want My Hat Back. 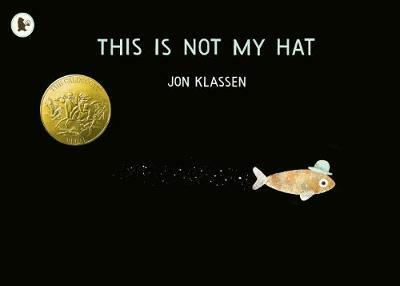 Winner of the Caldecott Medal and Kate Greenaway Medal 2014 From the creator of the bestselling I Want My Hat Back and Sam and Dave Dig a Hole comes the story of a tiny fish who proudly wears a blue hat. It fits him perfectly. Problem is, trouble could be following close behind... So it's a good thing that the enormous fish he took it from won't wake up. And even if he does, it's not as though he'll ever know what happened, right? With so many emotions conveyed in just the glint of an eye, visual humour swims to the fore in this thrillingly original, perfectly-paced cautionary tale. What a terrific little book! This would touch many of the emotions of every reader, young and old. The little fish has clearly stolen somebody else's hat. The clue is in the title.